This set has everything needed to tackle a first time project. The set comes with a quick-connect ABS handle with two interchangeable carving blades, the #6 (5/16") Sweep and the 1/4" × 70° V-Tool. 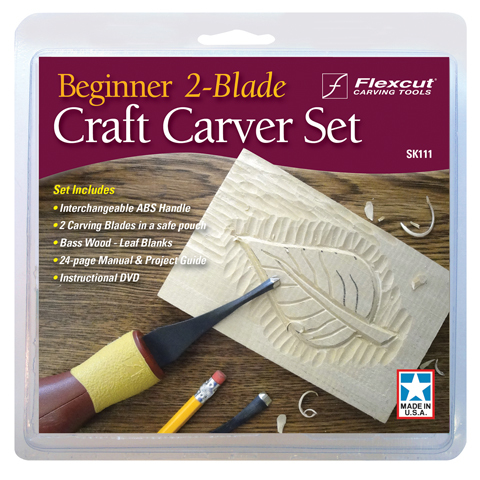 This set also includes a basswood blank for a leaf carving project, a second blank for practicing, a project DVD with step-by-step visual instructions, as well as a 24-page owner's manual that outlines the leaf project and provides maintenance and safety tips for beginners.